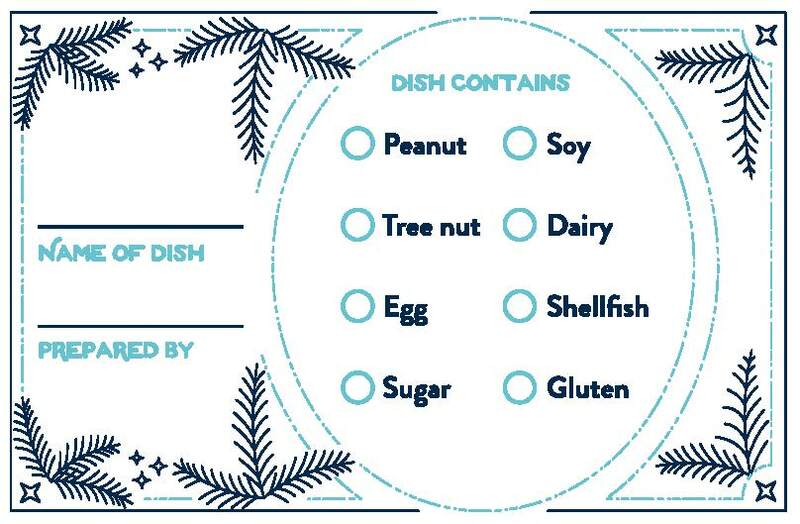 Hosting a holiday dinner carries a list of responsibilities, and increasingly, your guest list may include others with food allergies or sensitivities. Here are some quick tips to ensure a safe, stress-free meal for all. Talk with your guests to find out which foods are unsafe for them. Be very specific and stick to their requirements. ConsumerSafety.org has created a printable label to indicate allergens contained in prepared foods. It may not solve the challenges of living with food allergies, but it can help give your guests some peace of mind. If you are comfortable with letting food-sensitive guests bring a dish, let them! That takes something off your to-do list while letting them show off their own culinary prowess. Consider making your full menu “safe” for those guests with food restrictions. While they will welcome your intention, they will also greatly appreciate not being “singled out.” Chances are, the rest of your guests will love trying new options, as well. Of course, we always clean for guests. 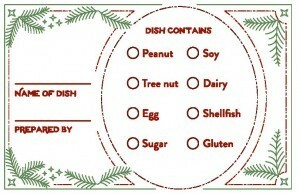 But this is especially important in an allergy-friendly kitchen. When cooking “safe” foods for your guests, be very careful not to cross-contaminate with utensils, dishes or preparation areas such as the counter—and always wash your hands between handling ingredients. Instead of trying to recreate allergy-friendly versions of all the “same old” traditional foods, consider roasted vegetables, a beautiful green salad, or a fresh soup with just vegetables, herbs and spices. You may create a new, naturally allergen-free favorite! There is no shame in shortcuts! Maybe you have access to a wonderful gluten-free bakery that makes delicious French bread. Instead of trying to make bread from scratch, take advantage of the pre-made option for part of the menu, saving you precious time and, likely, aggravation.